A pet store in the Atlantic region is getting out of the puppy business, CBC News has learned. A spokeswoman for Pets Unlimited — which has 18 locations across Nova Scotia, New Brunswick, P.E.I. and Newfoundland and Labrador — confirmed Thursday the stores are no longer selling puppies. She declined to comment further and said a formal announcement on the company's reasons for getting out of the puppy business will be made next week. According to the company's website, Pets Unlimited has 10 locations in Nova Scotia, four in New Brunswick, one in Prince Edward Island and three in Newfoundland. Janet Chernin, who runs a daycare for dogs called Canine Casbah in Halifax, said she has picketed outside Pets Unlimited in the past. "We know so many horror stories of animals coming out of Pets Unlimited," she told CBC News. "I'm terrifically happy. It's a step in the right direction. It has needed to be done for a long, long time. We don't want people to impulse buy a pet." Kristin Williams, the executive director of the Nova Scotia SPCA, said of the two mass breeding facilities currently under investigation in the province, one is co-operating because it lost its biggest buyer — Pets Unlimited. 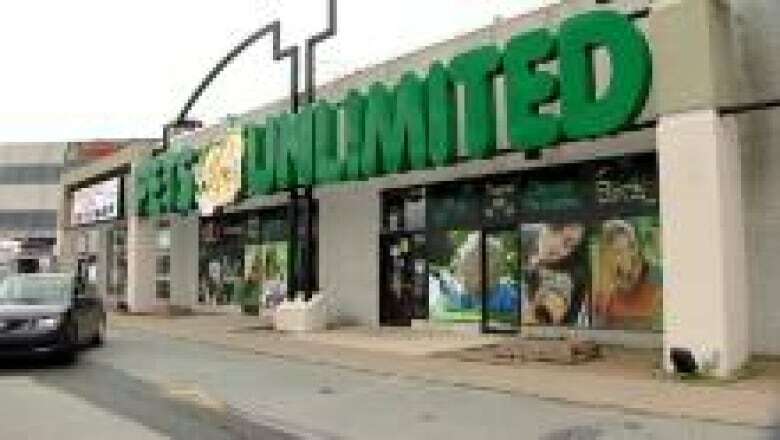 Pets Unlimited is no longer selling puppies at its stores. 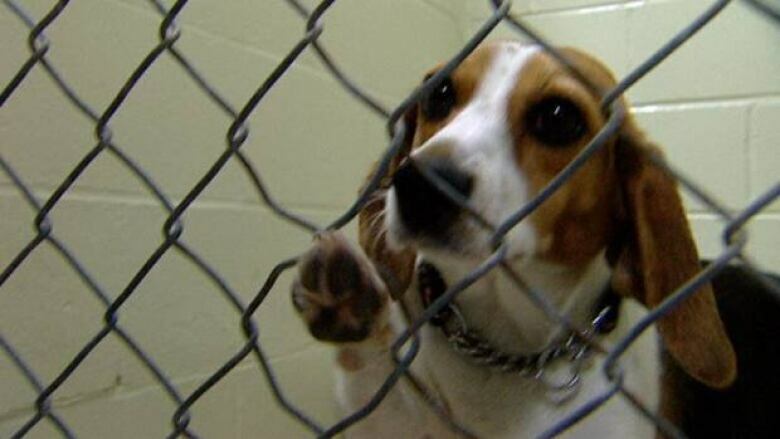 ((CBC))"One facility has 104 dogs and they currently are now going to shut down. The demand for their services is no longer required because they were sourcing those animals to pet stores," said Williams. "We get regular complaints about mass breeding facilities, puppy mills, even backyard breeders." The mass breeding facilities are not breaking any laws, although there have been complaints from those who believe the dogs are raised in a factory-like setting. Of the 104 dogs at the breeder, 37 have been taken in by the Nova Scotia SPCA. Most of the three dozen dogs have already found homes, while the breeder is trying to sell the rest. "The SPCA doesn't have the right to go in and take those animals," said Williams. "We absolutely like to work with these individuals and will try to find common ground." Chernin said she also checks Kijiji, an online classifieds site, on behalf of the Nova Scotia Lost Dog Network. She said there are signs to look out for to avoid buying dogs bred in puppy mills. "If somebody offers to meet you in a parking lot, if they won't let you do a home check, if they have no vet papers on the dog whatsoever," she said.